DISCOVER... THE YACHTING WORLD OF GREECE AND TREASURES OF THE MEDITERRANEAN BEYOND. Without obsession, life is nothing. At Valef, creating extraordinary experiences for our clients’ is what keeps us going day in and day out. From the hidden coves unseen by land and non-reachable by foot, to uninhabited islets with warm waters and wild ponies to picture-perfect fishing towns where time stands still. These are the gems that for us make yachting a unique mode of transport; access to the unknown and fantastical. Find well-worn favorites as well by yacht, coveted locations, and arrive in style. Our team will be sure to get you to where you've dreamed of going, and perhaps where you could not even imagine. Itineraries are made by the Captain with our team's and your guidance. Each day, explore your desires and set sail. The more we know about your wishes, the better we can guide your location choice. With so many breathtaking destinations to discover and fall in love with, we know that returning will be the first thing on your mind upon pulling back into homeport your last day of charter. Feel at home abroad, with your private crew amongst these Mediterranean jewels. Greece, the land of the Sun and the Gods, offers an unforgettable vacation experience with an endless variety of picturesque locations to visit. Begin in the eternal city of Athens with its nightlife and ancient treasures and history and then set sail to the thousands of incredible Greek islands with their own personal stories and delights. From the Aegean or the Ionian Sea, remote or cosmopolitan islands, rocky, sandy, palm or pine-covered beaches and landscape, there is a kaleidoscopic variety for you to enjoy on your own floating villa. Bustling fishing ports open gateways to traditional ways of life with hospitable people and delicious aromas wafting from the local tavernas. This is Valef's playground, we live and breath all things Greece and holiday related! Amidst Greece’s unforgettable blue or amongst the renowned beaches, coves and coastline, heaven is found. Let us guide you for an intimate journey into this wonderful country. 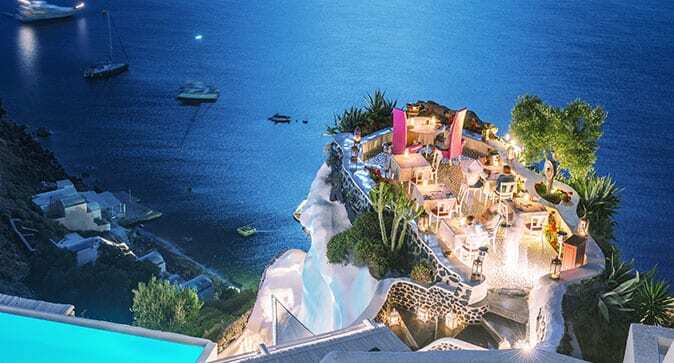 The Cyclades is perhaps the most famed Greek island region for its two highly promoted abroad islands, Mykonos and Santorini. The well-know white-washed cubic buildings with blue shudders and quaintly crumbling windmills is typical of this region and also iconic of all the Greek islands in the foreigner's mind. The Cyclades is Southeast of the mainland in the Aegean Sea with uninhabited Delos, the birthplace of Apollo, laden with antiquities, as its center. The superior quality of sunlight here has been described throughout the centuries by poets and travelers. The rugged landscape coupled with plush beaches make for dramatic scenery well desired for a holiday escape. Cosmopolitan nightlife and high-end restaurants, as well as no-name tavernas on out of the way beaches, are all found here. 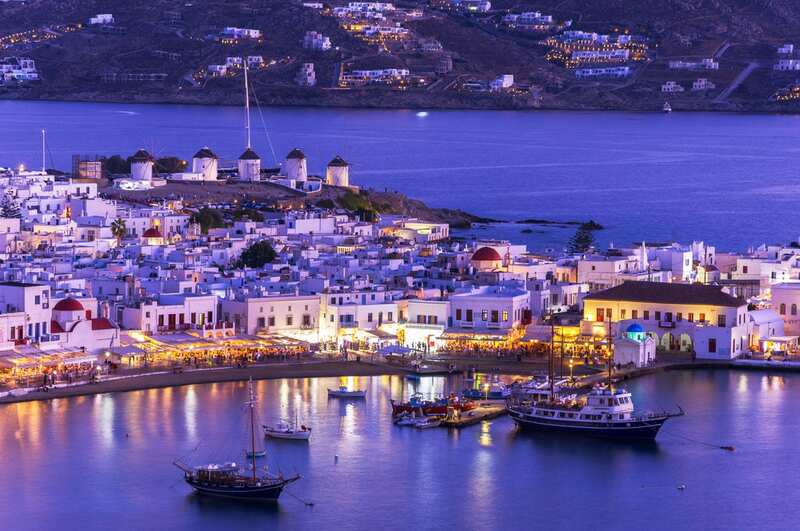 Try a gourmet cooking class in Santorini or an underwater artistic photo-shoot in Mykonos. The Meltemi (Northern) winds blow here, making it a windsurf and kitesurf paradise for those that love the sport or want to try for the first time. This dynamic region has something for everyone and is a reason many return yearly to Greece. The Dodecanese, in the SE Aegean Sea, is the sunniest group of Greek islands, known for its medieval castles, Byzantine churches, and monuments. Beaches discovered by yacht, such as those of Kasos, and the colorful houses of Symi and Nysiros will take your breath away. One can walk through alleys and valleys steeped in history with archeological finds. Rhodes, the largest island, has the medieval Street of the Knights in the Old City and Palace of the Grand Master showing Byzantine and Ottoman influences. Kos is known for its exquisite beaches and where Hippocrates, the Father of Medicine, taught his students under the oldest tree in Europe. Patmos, the island of the "Apocalypse" and the book of Revelations, the "Jerusalem of the Aegean", hosts discerning travelers yearly. It's worth a guided tour, especially for those interested in religious tourism. 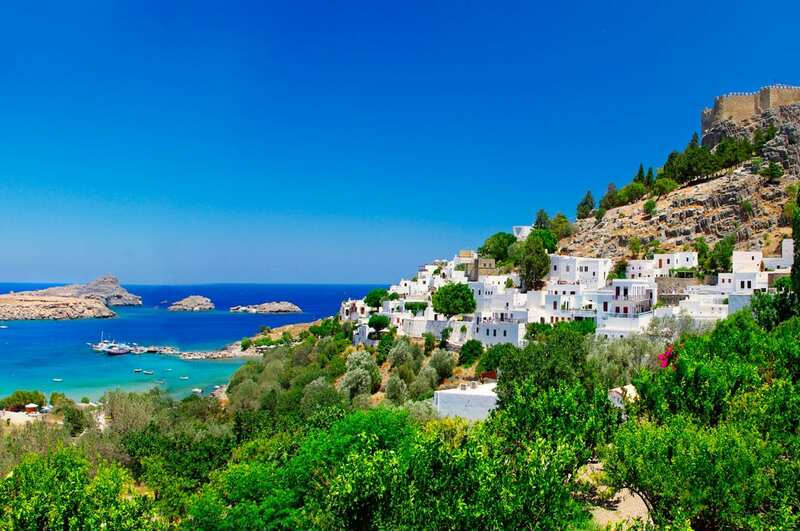 The Aegean Film Festival takes place in Patmos each July offering guests a great chance to see world-class cinema in a quaint village and rub shoulders with Hollywood elite. This region has famed "panagiria", local festivals, throughout the islands each summer, for nights of revelry, the traditional way. Named after the Saronic Gulf, the Argo-Saronic islands are the closest to Athens and perhaps the most under-rated. The Peloponnese is the mainland West of Athens shaped like a hand. A route including these two areas offers the best of Greece, tradition, the new, history, fine beaches and archeology. Islands like Spetses offer robust nightlife and a taste for the traditional island life with no cars on the waterfront by the two harbors, just horse and buggy. Aegina, a popular first stop heading Southwest has the temple of Aphaia, as impressive as the Parthenon. 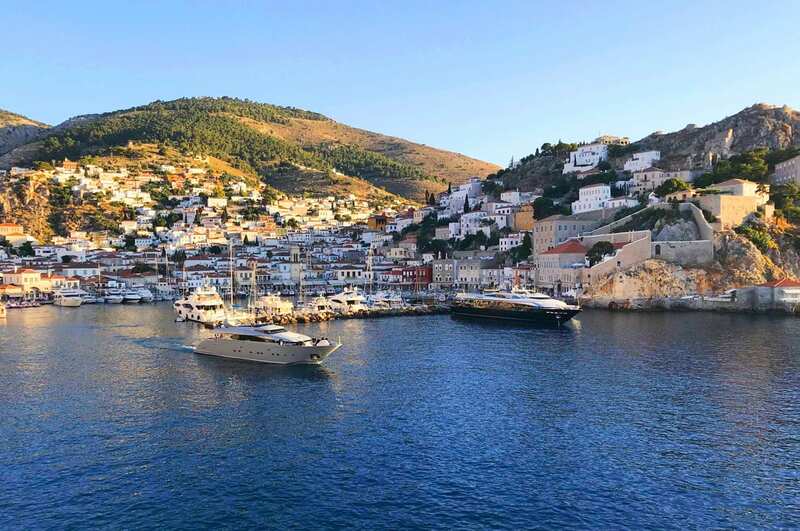 From verdant Poros with the best "amygdolota" sweets, to regal Hydra where popular musicians in the 60's made homes, old sea captains neo-classical mansions dot the harbor and stray cats roam, this island group is full of diversity and surprises. 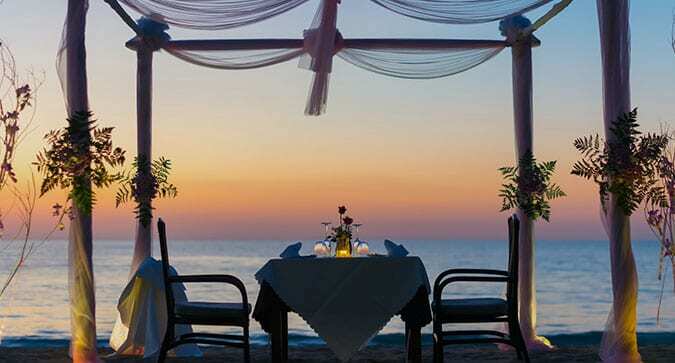 Have a private jewelry showing sipping espresso or Greek wine while the sun sets over the islet of Dokos. The mainland features gems like Nafplion, Greece's first capital where you can climb 999 steps to the castle top, Epidavros with the oldest Greek theater which hosts plays all summer and Monemvasia, a town within a Medieval castle. Turquoise and green seas, plush forests leading to the waters edge and Italian influenced architecture characterize the Ionian islands. From Athens the marvelous passage through the Corinth Canal leads the way Northwest towards Italy via the lovely Ionian islands. Corfu is the most well known and largest island, furthest North in this group. Its Easter festivities are famous as is its beautiful old town. 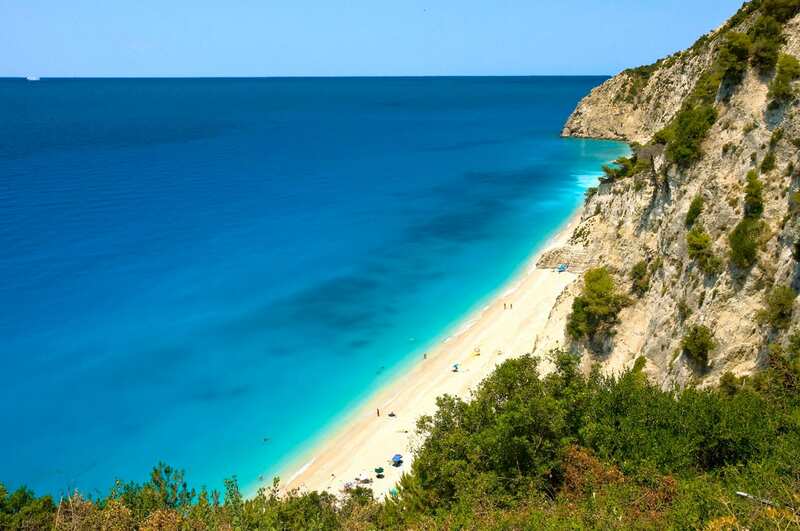 Zakynthos has one of the most photographed beaches in the world, with towering cliffs, white sand, aqua water with Caretta-Caretta and a shipwreck rusting on its shore. The famed island from The Odyssey, Ithaca, is also found here and best accessed by yacht. Water sports and exploration via yacht tender is a marvelous way to see the many scenic delights here. Charming ports and towns, caves, crystal waters and marine life mark these islands making them very special to visit, especially for those seeking a calmer pace and much natural beauty. 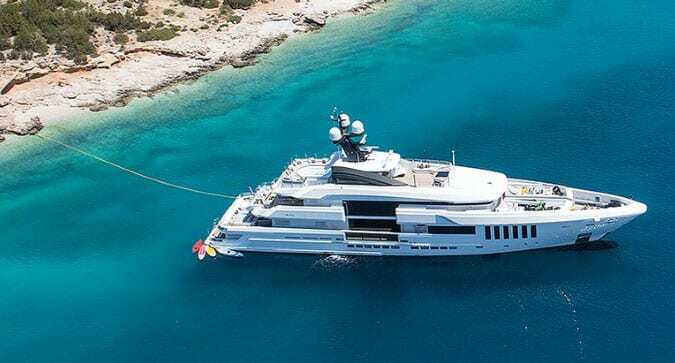 Each charter is unique and we are here to help create unforgettable, one-of-a-kind experiences based on our extensive knowledge from 50 years of yachting experience in Greece and customer service. Indulge your interests and passions aboard your own private yacht. We can cater custom itineraries, activities and routes to your charter party. From 'the paths of the Ancients' routes and activity planning to SCUBA tours or Hellenic flavors touring, sampling wines and cuisine around the islands and coast.